Multi-instrumentalist and composer Benny Sings began making hip-hop beats and at some point just started singing to them. His debut album “Champagne People” was released in the Netherlands in June 2003 on Dox Records. The songs on this album were catchy yet fragile pop songs. The critics too were charmed by the transparent quality of his songs that expressed a classic but contemporary desire for love, peace and understanding. To promote the album Benny formed a jazz combo with a horn section and toured the Dutch venues and festivals such as Lowlands, Noorderslag and Uitmarkt. He won the Dutch Essent Award (an award meant to stimulate young, talented musicians) and in the mean time the album was released in Belgium and worldwide on vinyl (by Rush hour/Kindred Spirits). 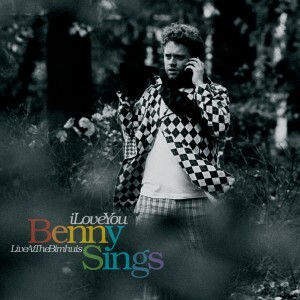 Now it’s time for the new Benny Sings album entitled “I Love You: live at the Bimhuis.” (SK051CD/LP) This second album is clear proof of the Benny spirit. Playing live, however scary it is, is good for me. On stage I’ve got this mic and people listen to my voice which is like perfect therapy for me. 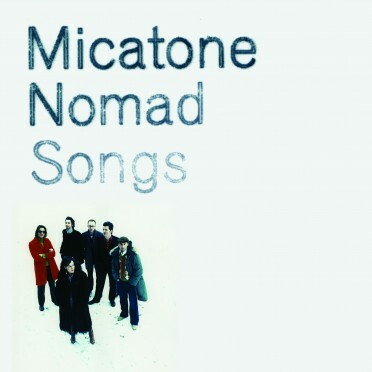 He composed his second album on the way to gigs and arranged his new songs live on stage with his band. The new repertoire of feel good though occasionally hung-over songs is again a remarkable demonstration of pop music. Benny: No complicated bass guitar riffs or weird soundeffects that distract from the melody. No second thoughts and edges, no rebelling. Just the mega challenge of singing pure pop. The new album “I Love You” will be released worldwide by the Sonar Kollektiv on February 14, 2005.